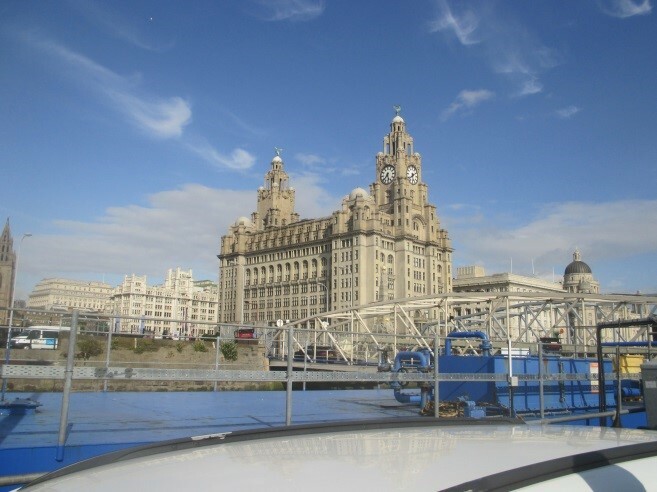 8th of July and we are setting off to Liverpool to get the 7-ish pm Ferry over to Douglas on the Isle of Man. Cars loaded with gear and (ahem) empty cylinders for the crossing with very helpful and vigilant ferry staff on hand to assist in emptying cylinders of 35% twin fills – the sound of hissing kept us company in the ferry queue. 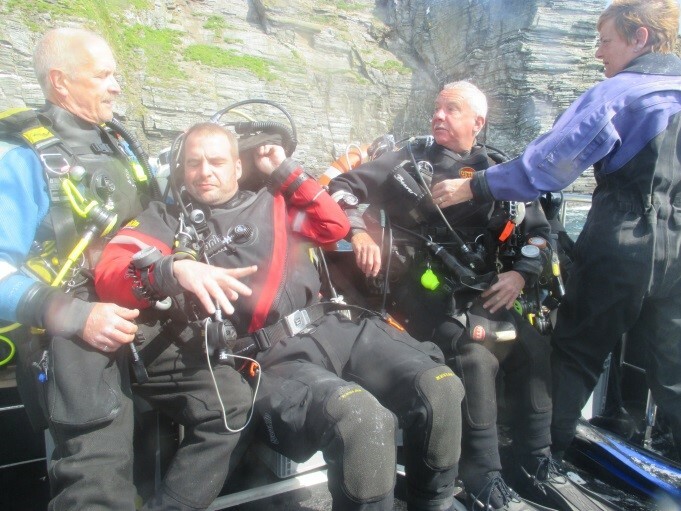 A smooth crossing, de-ferrying and meeting up with the dive-centre owners saw us guided into the self-catering accommodation – half-way between Port St Mary and Port Erin – run by the dive-centre. We dived with Isle of Man Diving Charters out of Port St Mary, so a short drive to the dive centre the morning after eventually saw us out on the boat and off to the Burroo on the Calf of Man for a 20m scenic dive with good viz, 13 °C in the water, lots of dogfish and other critters. 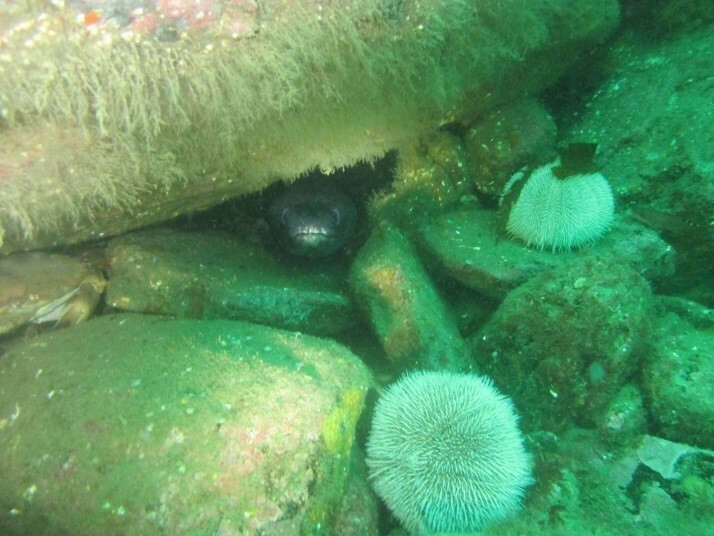 Dive 2 was the Clan MacMaster, a wrecked scallop trawler in the Calf Sound. This was interesting – a small and scattered wreck with visible anchor, prop-shaft and other debris which was followed by a short swim off north to hit the Calf Sound drift, so bye-bye buddy, up with DSMB and 3 knots (at a guess) of drift. 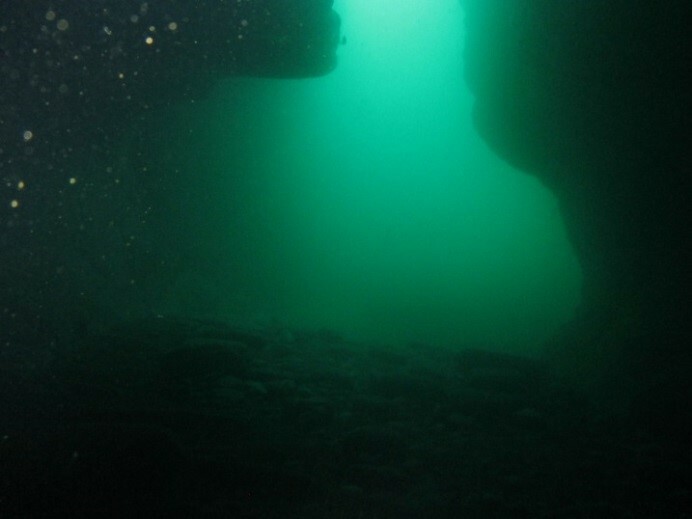 A 3-dive day was finished with the stonking Sugar Loaf Caves: never deeper than 15 m, but some beautiful wide caves, eerie light, a great stack swim-through and some diving guillemot to watch at the end, together with a jelly fish bonanza. Enormous fry-up that evening meant that the BSAC-18 running group (me) went out for an early day 2 run out of Port St Mary and round to the Calf – some stunning scenery here. Day 2 saw Dive 1 on the Thracian, a masted barge launched from the Clyde in the 1890s and lost in fog in the 1920s – lies in 30-odd metres with a stunning open rib structure, clear masts and anchor. It was great to swim over it, but the depth and size meant not enough bottom time on a wreck that deserved another dive for a full exploration. 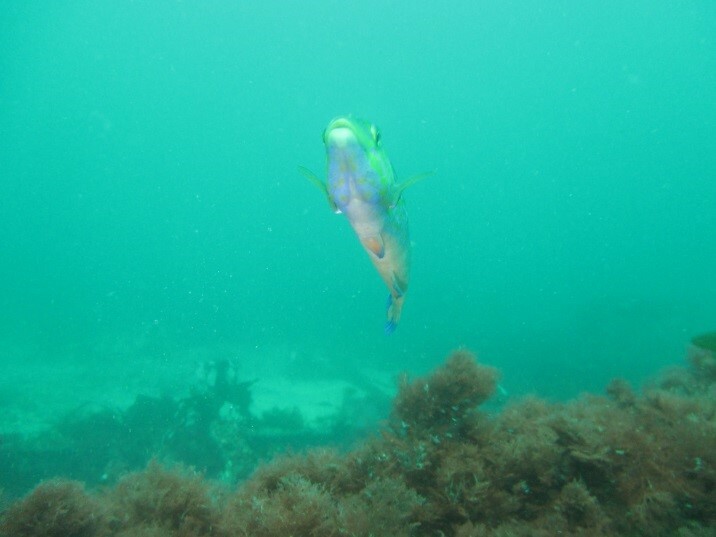 Dive 2 was the Citrine, a smaller wreck in 15m – nice boilers and tonnes of wrasse. Apparently, I was followed and fin-nibbled by a friendly seal which I never even saw (how can that happen?). In the evening a short walk to Port Erin with good pubs, good beer, beaches, and eateries (and a beach festival) that kept us fed, watered and entertained throughout our stay. Day 3 and our sixth dive – a scenic at Creg y Jaghee, a reef at around 20 m teeming with wrasse, lobster, crab, anemone, etc and lots of kelp towards the end. It’s a bit choppy today, so the diving possibilities were limited. The day’s second dive was the pinnacle at Bay Fine – some HUGE conger down in those crevices (at 16 m) and a great critter and scenic dive in general: kept us busy for the full 60-minute max dive time. Fish in the sea ? Our final day was just the one scenic dive (~20m) at Bungalow (?) rock (memory fades here due to traditional non-logging of last dive) followed by a quick cleaning of gear, loading of cars and off to the ferry terminal. 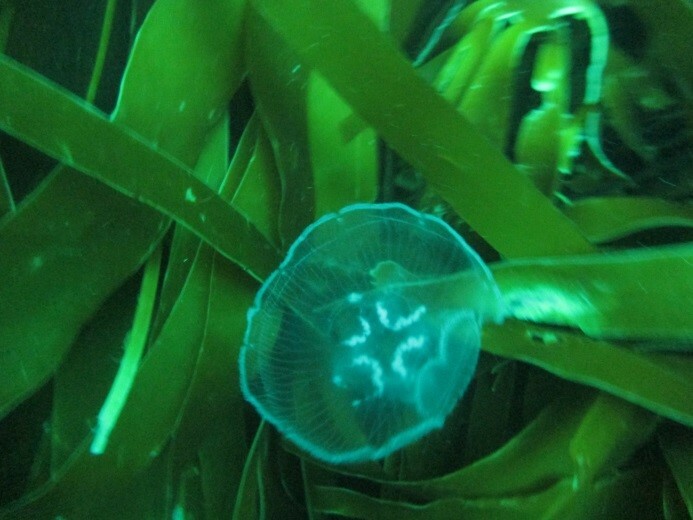 Overall, the Isle of Man offered us some great diving, an excellent place to visit, and a place that’s fairly easy to get to, meaning that a return trip – probably with another charter – may be on the cards.